HomeCommunicationComputersEducationInternetonline businessWhy Your Business Needs a Blog? The Internet has totally changed the way we do the business and become an important part of our everyday life. It changed the rule of marketing game and opened up the huge opportunities for people who aim for the great success of their businesses. Think about how many pages there are on your website. Probably Not much…. And think about how often you update those pages to expand your business. Probably not that often, right? The blogging helps solve both of those problems. Establishing itself as a potent marketing platform, blogging has also evolved rapidly in past few years. The blog plays a key role in engaging the consumers and investors through various interaction and group collaboration. It results in exponential growth of your business with no time. Also, websites and blogs are powerful allies and strategic partners that allow you to meet the users on multiple digital avenues and boost conversion rates. The blogging drives more internet traffic for your website and this could be one of the main reasons, why you should have a blog? Along with search engines and social media, the blogosphere is a major internet highway where you need to participate. It’s a powerful social network in that many popular bloggers have an audience measured in millions. The third-party link from the media, email lists, etc., also could be an option to drive the traffic. However, you have to pay for the traffic it generates. These strategies hold water only as long as you throw money at them, while the blog posts attract numerous views and lead at no cost. Generally, the consumers or investors spend more time reading blogs, reviews, interacting with brands on social networks and seeking information via search engines. Whenever you post any article in the blog, you are sending cues to Google that you are active, harnessing the immense potential of organic search. It helps in improving the visibility to social media and witness the content from the blog repository by shared across this booming landscape. It’s an excellent way to widen your business exposure and captivate new audiences. Only getting the traffic does not give you a success, perhaps you also need to convert it. The lead-generating calls to action in your blog posts could get through the conversion. The landing page must contain a straightforward, user-friendly form having relevant data to be filled. It could also offer free content such as eBooks, webinars, and whitepapers along with user information. You need to track the result using a chart ‘visitor-to-lead’ conversion rate and figure out how to enhance it. Finally, SEO plays a major role as it optimizes the pages incorporating the most efficient tactic that ranks your site higher than the millions of other sites in response to a search query. Today everyone seems to be a publisher, taking part in media creation and distribution. Blogging enables you to gain a better understanding of your distinctive persona. It’s a journey of self-discovery and makes you feel proud and respected. 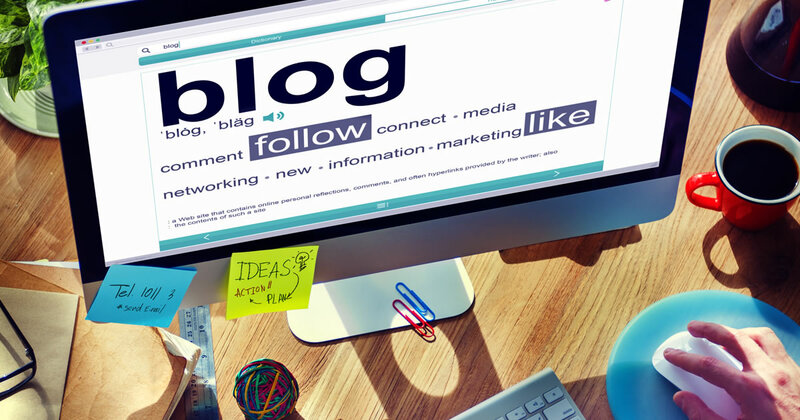 Blogging is an excellent testing ground for big campaigns and could be used as a platform for communicating PR information and publishing the company-based initiatives. Also, the feedback on your new killer products developed could be checked for further enhancement. With a blog, you have your own digital property and can explore other opportunities to expand your business. Everyday modern companies get millions of online queries and customers expect a quick response in resolving these problems. The blog content has the ability not only to cultivate healthy relations but also to embed branded message and improves the relationship. For building trust in any organization, the reputation is undoubtedly a mighty weapon. People engage the companies when they see a company is more responsive and attentive! Blogs propel enterprises towards a steady growth and prosperity and become an industry standard. Therefore, reach out to your customers or investors, treat them with insightful information and resolve their queries at the earliest. Your blog should capture the imagination and sparks attention of the target audience & emphasis given on unique and quality content as this is a crown jewel of any blog. Finally, the proper attention should be given on SEO optimization along with social media and organic search, as these are the real booster of your blog as well as business.